There are two ways to get a solution though. 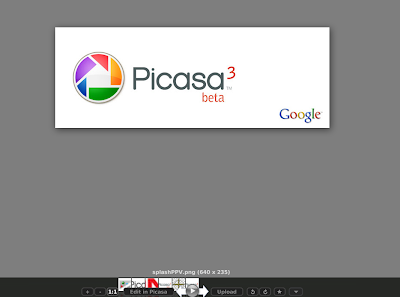 1) Go to http://picasa.google.com/index.html## and download Picasa 3.8 for Windows. Install with wine. After you completed the installation, rightclick on a picture file and select Open With Other Application. Choose the box Use a custom command and fill in '/home/username/.wine/drive_c/Program Files/Google/Picasa3/Picasa3.exe' including the quotes ! 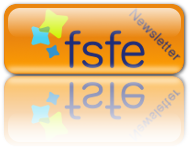 Check Remember this application for "....." files. 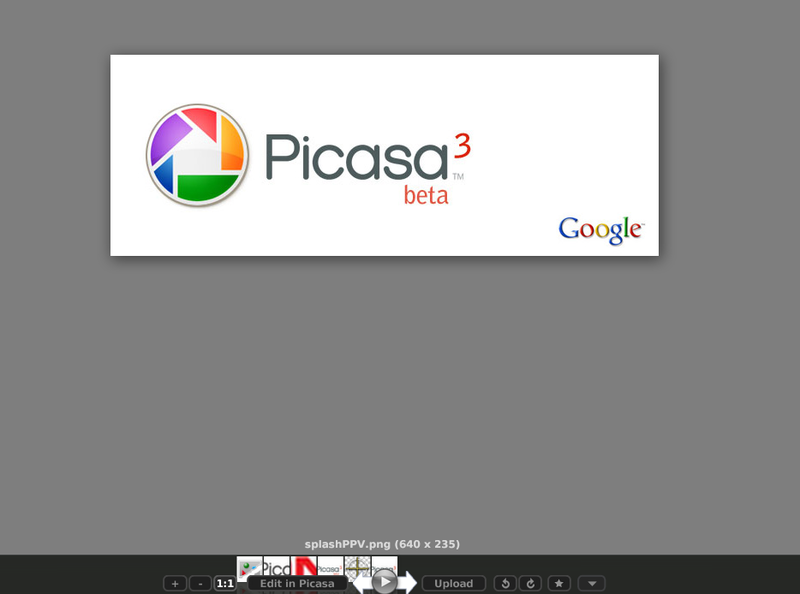 2) Download the .deb @ http://www.caiacoa.de/Transfer/PicasaPhotoViewer-1.0.3.deb and install PicasaPhotoViewer-1.0.3.deb. Become root and dpkg -i PicasaPhotoViewer-1.0.3.deb. To use Photo Viewer inside Gnome follow the same procedure as above, but this time use /usr/bin/PicasaPhotoViewer as a custom command. Thanks for the tips! i haven't tried your way yet, but i have tried it with a demo of Crossover....when the pics come up, it is a light grey background instead of the Windows version in which you can see the desktop behind it....is there a way to do that using your method? thanks!! Thanks a lot, mate! Thats right what I was looking for. I use it on windows and had to have it on my mac too :) Tks a lot again, u made my day!